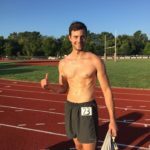 It’s the one you have been waiting for … :D. This is Part 1 of a Round Table with Drew Baye, Ryan Hall and Skyler Tanner. I loved recording this! It was a real honour and pleasure to have 3 of the top exercise experts on the planet on my podcast all at the same time. As per my introduction, you will be hard pushed to find a single podcast episode on the internet with as much intellectual horsepower on exercise as this one. Part 2 will be published this Saturday! Drew Baye is one of the top HIT trainers on the planet and has the #1 HIT blog: Baye.com. 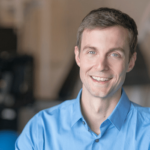 Ryan Hall runs Exercise Science LLC, a successful HIT facility in New Orleans, and is a contributor to the genetics chapters within the very popular exercise book, Body By Science. Skyler Tanner is often regarding as one of the world’s top personal trainers. 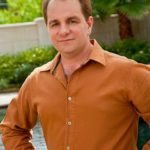 He has a very popular health and fitness blog, has been featured in many popular conferences, publications, etc, and now runs Smart Strength. What percentage of the stuff we geek out on really matters? QUESTION OF THE DAY: What would you like more information on? Please let me and the guests know in the comments at the bottom of this post. Great one again, I could listen to Drew and Skyler all day (felt like I was with Drew, lol). Referring back to my comments on the recent Jay Vincent episode, I always forget to consider the addition of bone mineral density when considering gains in lean mass, I was wondering if the panel knew whether other tissues typically increase in mass with training (to any measurable degree) organ mass, connective tissue, etc? The continued focus on genetics and individual variability on the show is commendable, I always use this point when I try to explain it to others: Do you think following Shaq’s basketball training regime will cause you to grow to to 7 feet tall? Then why imagine that following some bodybuilder’s routine will get you on the Olympia stage? Sort of an extreme version of the “swimmer analogy” hopefully someone else can word it more elegantly than me. The discussion on activity vs exercise was great too, all brilliant food for thought. Pleased you enjoyed it Andrew. I’ll prompt the lads and if they have time, I’m sure at least one will be able to answer. Hey Andrew, in addition to skeletal muscle hypertrophy and increases in bone density there are increases in tendon strength and thickness, cardiac muscle hypertrophy and angiogenesis – the formation of new blood vessels – in the heart and skeletal muscles. The weight increase from these would be slight, however. Thank you, thats really interesting to know even if only to quantify positive adaptations. Andrew, adding to what Drew said: For the longest time, it was thought that connective tissue in the body was static. Newer methods of measuring protein synthesis in various tissues showed this not to be the case. Labeling or staining an amino acid with a radioactive isotope allowed scientists to actually “see” what tissues uptake that amino acid. While increases in protein feedings increase protein synthesis in skeletal muscle, only mechanical loading stimulates an increase in connective tissue. I have a question directed may be to Skyler and perhaps Drew will interact, related to the use of ARX technology. It got mentioned by Lawrence too. So far, what I have seen in the internet – youtube, shows the modality of maximum effort repetitions, rest pause style of sorts. I saw Keith Norris and others exerting themselves very seriously, thorough max effort. As I think I understood the idea and the fact that different modalities may be employed e.g. max effort reps or pre-determined say 80% resistance from start for a more typical HIT set, still these all out hyper reps, kind of contraditct my idea of a proper rep. I’ve heared from Drew Baye for example on many occasions that irradiation for example should be at least minimized, so that the focus be on the trained muscle without wasting much energy in other directions, that face, grip etc. should prefferably be relaxed as much as possible, breathing and so on. And we’re talking traditional/gravity based resistance exercise, that requres some smart manouvres in order to make things challenging and to avoid natural effectiveness limitations for the exercises. In this sense, it is clear to me, that all out hyper rep’s purpose is to exert max power/force. But isn’t it the measurable output force we see on the screen and what portion of this force is actually “target” muscle produced? Does it matter then? And in addition, what about blood pressure, force produced, perhaps being dangerously high with hyper reps?! ( I even saw Keith having a teeth protectror in one of the videos). I haven’t tried the ARX, so I am really curious to learn more about the hyper rep’s pros and cons with this particular equipment and how it fits in to the “common” whisdom of repetition form. Looking anxiously toward parts 2 and 3! Thank you ALL! These are great questions Kamen. The chaps should be notified via Disqus or I’ll chase. Lawrence, have you tried ARX yourself? I have indeed 😀 I was put through a pretty intense ARX workout by Matt Nairn at Mint Fitness http://mint-fitness.co.uk/contact/. It was smack bang in the middle of an 8 day trip that included 3 flights, a stag party, music gig, and lots of booze and more HIT workouts … I was wrecked for an entire week after. I think ARX is a great machine. I love MedX and Nautlius but those machines do not accentuate the eccentric like ARX can, and that makes for a very efficient workout indeed :D. It’s a great piece of kit for a HIT gym since one can give a client a full workout on a single machine. However, since ARX are my sponsor, please take what I say with a pinch of salt and experiment for yourself. Details on how readers/listeners can get $1,000 off software licensing on ARX is above on the post. The one I used is an old Omni. So I imagine the newer Omni is an ever better experience. Yes, Mint owns the machine I believe, but they typically lease as more economical for customer. I will ask ARX about locations. I know there is new machines in Barcelona as well. I’ll ask ARX to provide info here. Thanks a bunch! I will contact them directly though, but still any info will be useful. Simply: the ARX is a tool that works well for HIT, but it’s not a HIT tool. There are some machines that don’t work well unless you do them with a very slow cadence (some of the Superslow Systems gear in my facility, for example). I personally use it like I would use any other tool, but it’s not exclusively for that nor is it the fault of the machine if someone wants to try to throw it around like a barbell and use lots of bracing to accomplish a rep. Impressive; what are the chances of an edited & expanded version of this round table being produced? Load up on references, some visuals, and participants could expand on topics of their choice. An e-book version might be a good option; if you turn young Mr. Baye loose mailing cost might be prohibitive. Hadn’t thought about it Gayle. It’s unlikely we’ll produce an eBook of the show, since the majority of people seem to enjoy the podcast format, so personally, I like to invest there. A Part 2 is coming out tomorrow :D. If however, a lot of people request this resource, then perhaps we’ll consider it. If the others want to comment that’s fine but that is my position on it.